Kroger hopes a new clothing line can help it keep pace with Amazon and Walmart. The country's largest grocery chain announced on Friday that it was debuting a fashion label called "Our Brands." Kroger's "active-inspired" line for both children and adults will debut next fall at 300 of its Fred Meyer department stores and Marketplace superstore locations. The company was mum about specifics but said it would provide more details about the clothes next year. "This launch of Our Brands fashion will re-invigorate Kroger's apparel line," said Kroger merchandising executive Robert Clark. Although clothing isn't new to Kroger, it has never sold clothes under its own label. The company has sold more than a dozen third-party brands for years at Fred Meyer and Smith stores and carries seasonal apparel at some of its nearly 2,800 supermarkets across the country. The company doesn't plan on selling its own clothing brand at its supermarkets ... at least not yet. Kroger's latest dive into fashion is designed with competitors in mind. Amazon stepped into the fashion world last year, launching in-house clothing brands. In June, Walmart expanded its clothing footprint by purchasing Bonobos for $310 million. Kroger needs new ways to appeal to customers. Its supermarket business has been hit hard by falling grocery prices. Competition is up and foot traffic is down. Shares of Kroger (KR) are down 40% this year. 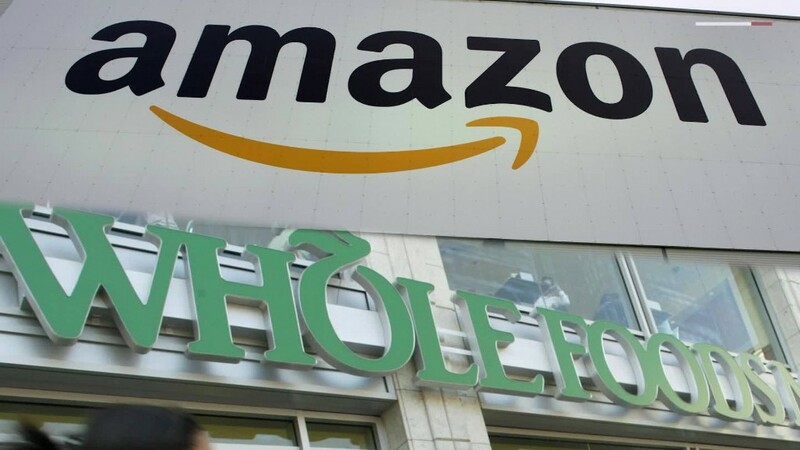 The company faces larger concerns about whether it is viable in a grocery world controlled by Amazon, Walmart and Costco. Amazon's blockbuster acquisition of Whole Foods over the summer continues to have ripple effects. Former Kroger loyalists make up the largest share of new Whole Foods customers since the Amazon takeover. European grocers Aldi and Lidi plan to open stores in the United States -- another looming threat for Kroger. "Everyone is fighting Amazon," says Barclays analyst Karen Short. "You need a private apparel line that will make you a destination with your shoppers." The fashion line is one part of the company's "Restock Kroger" strategy to modernize its stores. "As part of our Restock Kroger Plan, having Our Brands be a strong, vibrant growth vehicle for Kroger is a top strategic priority," said company spokeswoman Kari Armbruster. So while it could be years away, you might stock up on jeans and t-shirts along with meats and veggies at Kroger.